Is today the first day of a new school semester? Are you meeting with someone important? Or it is just Halloween, when you simply feel like handing out delicious candies to everyone you meet? Even if you don’t pay attention to modern fashion, there are still some tips you may want to follow to look your best for these types of events. Once you bring your look together, we’ll talk about how you can add the finishing touches with Lifesaver mints. Wear clothes that fit you. This sounds like common sense, but it needs to be said. Fitting clothes look more professional and allow people to take you seriously. Wear clean, polished shoes. They don’t have to be brand new shoes, but perhaps just quickly shine them up before heading out. It takes a few moments but goes a long way. Don’t look too stylish. Everyone wants to dress to impress, but if you are too well put together, you can appear distracting. Don’t draw too much attention to yourself. You want to look good without being stared at. So what do you do now that you’ve completed your A-list outfit? It’s time to convey your professionalism by adding Lifesaver mints. This is a wise idea because mints emit pleasant smells. They let people know that you cared enough to freshen up your breath for this event. They make people pay attention to what you do and say. In that case, you’ll want to get some Lifesaver mints in bulk so you have a large supply of them on hand. Don’t risk the dangers of going to school or work with questionable breath. Let Lifesaver mints take your overall presentation the rest of the way. And hand out the leftovers to trick-or-treaters on Halloween. After all, everyone will need to freshen up after eating all that delicious sugary candy! 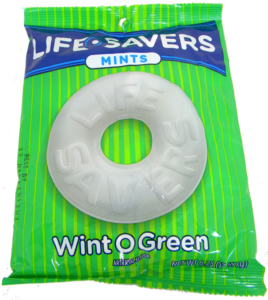 Browse Lifesaver mints in bulk on BlairCandy.com.